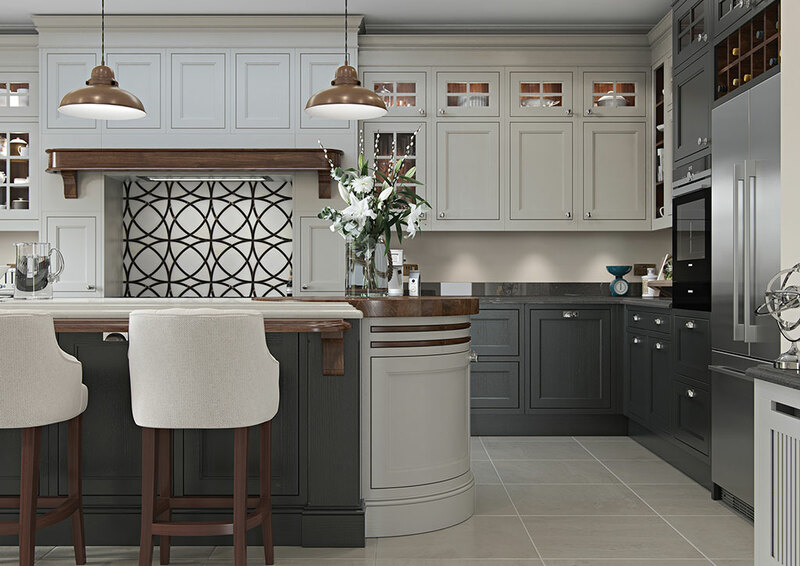 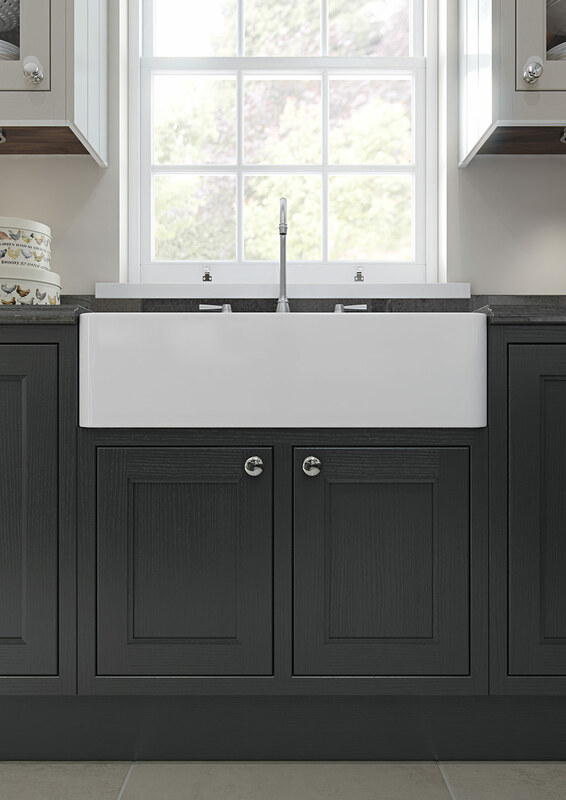 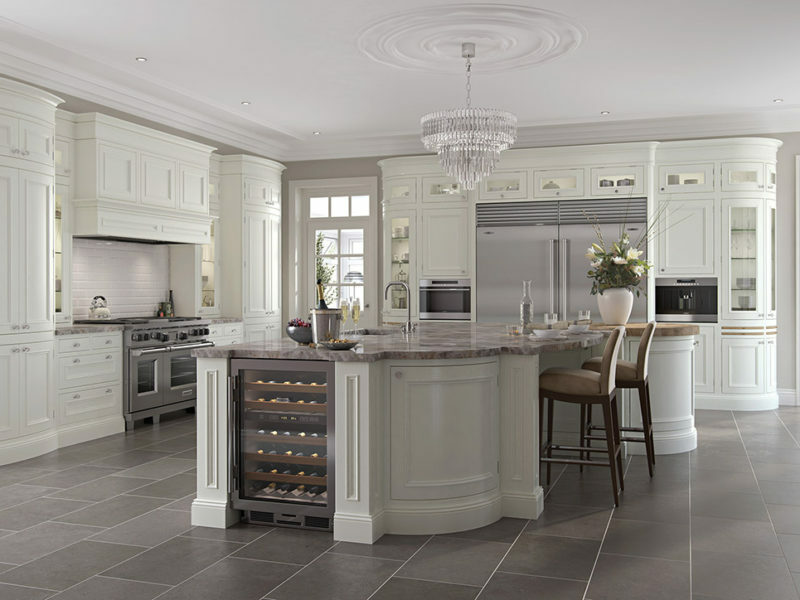 With its sumptuous finish and thoughtful detailing, the Sutton kitchen adeptly shows how traditional can meet modern with outstanding results. 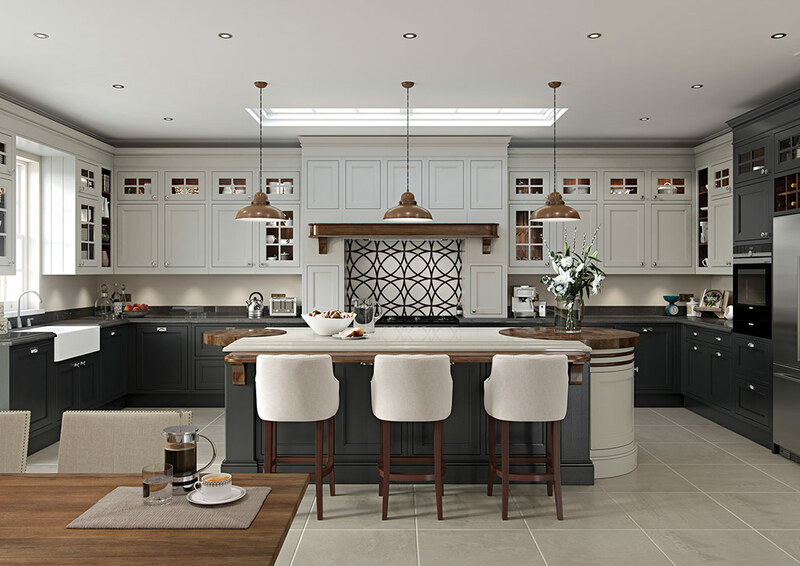 This shakerstyle door design is given a new twist with a stepped frame around the centre panel and it fuses beautifully with the double cornice and imposing overmantle, making the kitchen feel incredibly spacious and elegant. 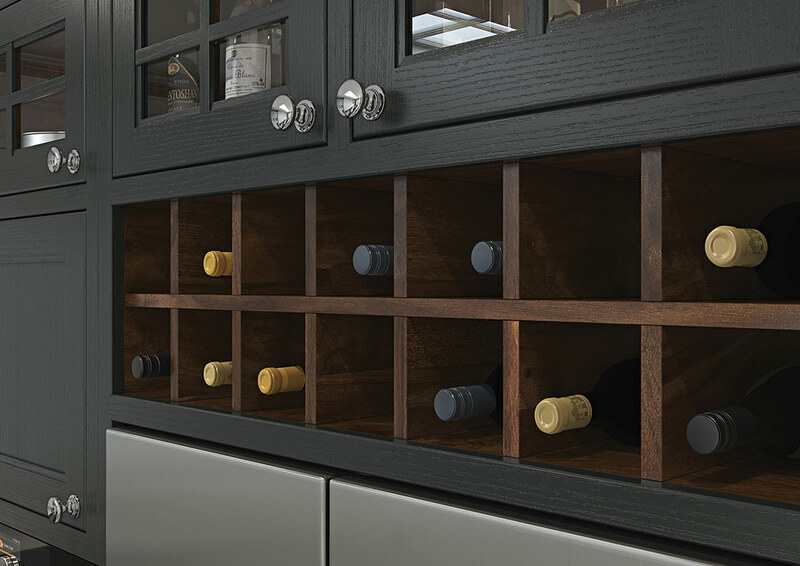 The rich, luxurious Walnut finish used for several of the accessories contrasts exquisitely with its painted surroundings, particularly the mantle shelf which boasts a brand new design featuring consistent colour with no visible end grain. 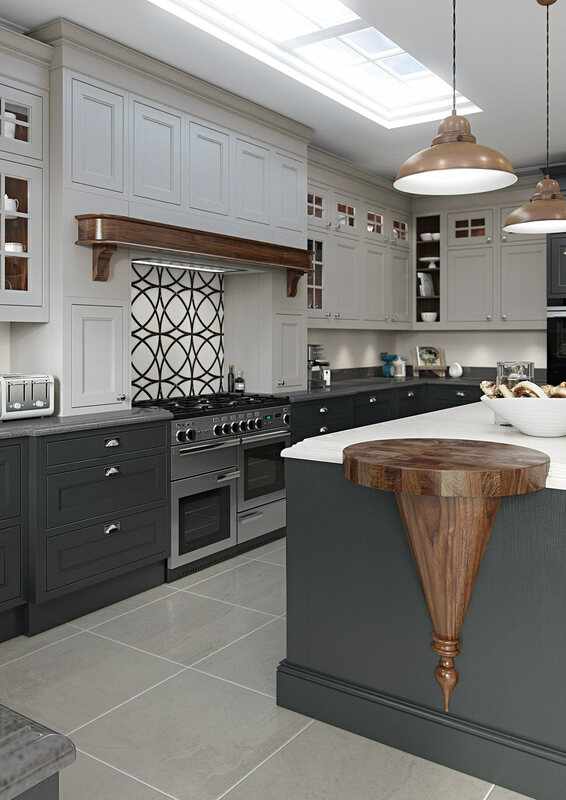 The painted island is embellished with a Walnut conical pedestal at one end, and barrel unit with Walnut inset chopping boards at the other end, ideally suited to bustling family life, affording plenty of added space for food preparation. 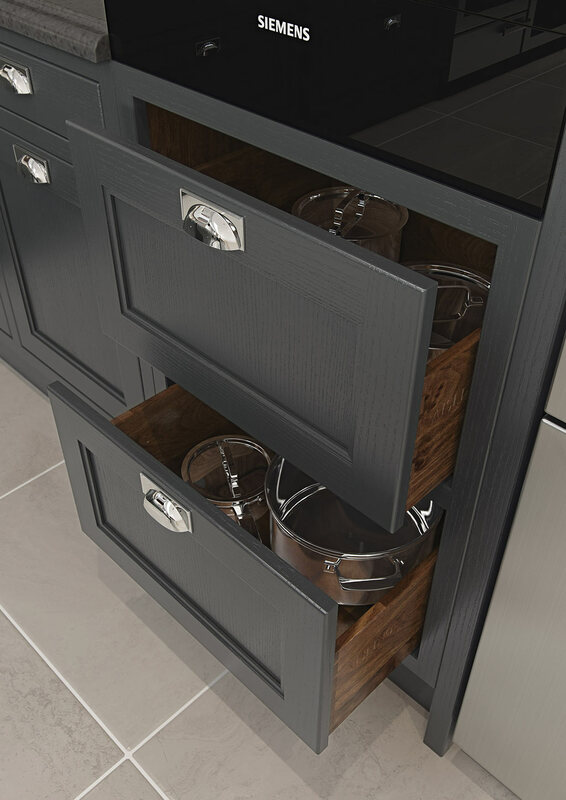 The custom-made breakfast bar is supported by solid Walnut corbals. 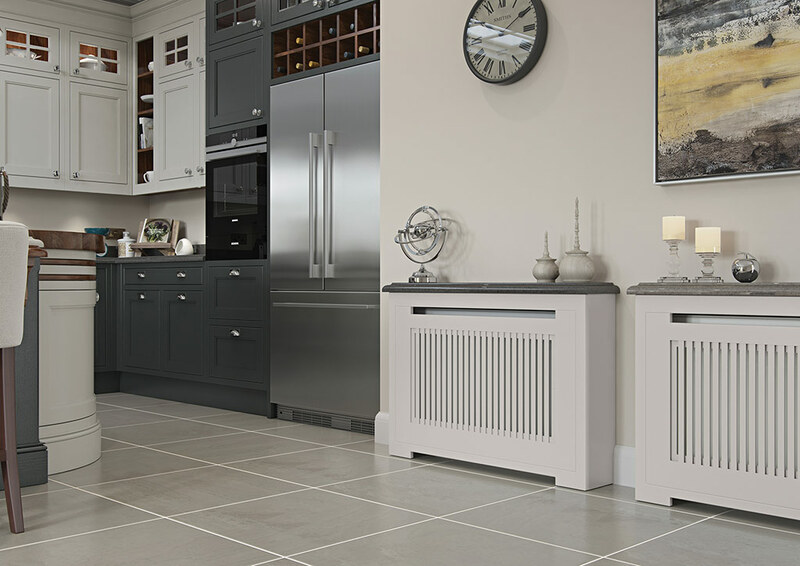 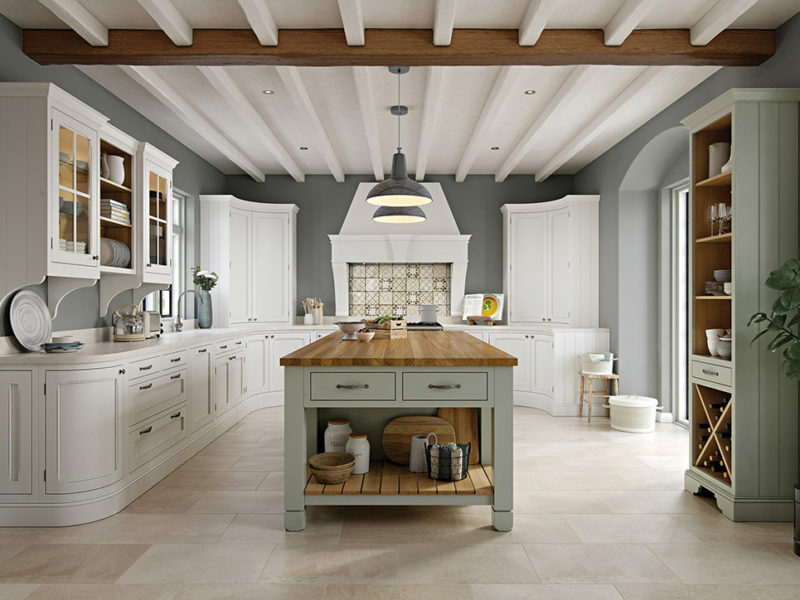 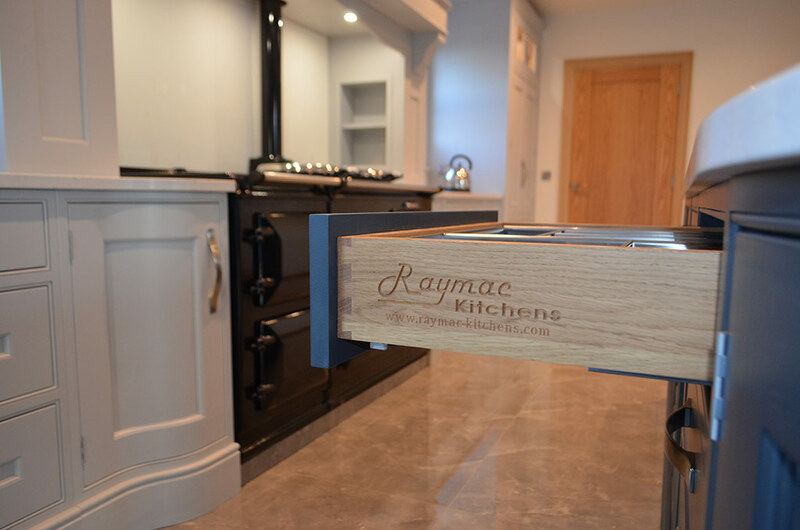 Other accessories include tongue & groove moulded gables, bridging wine rack and decorative radiator screens, painted to match the rest of the kitchen. 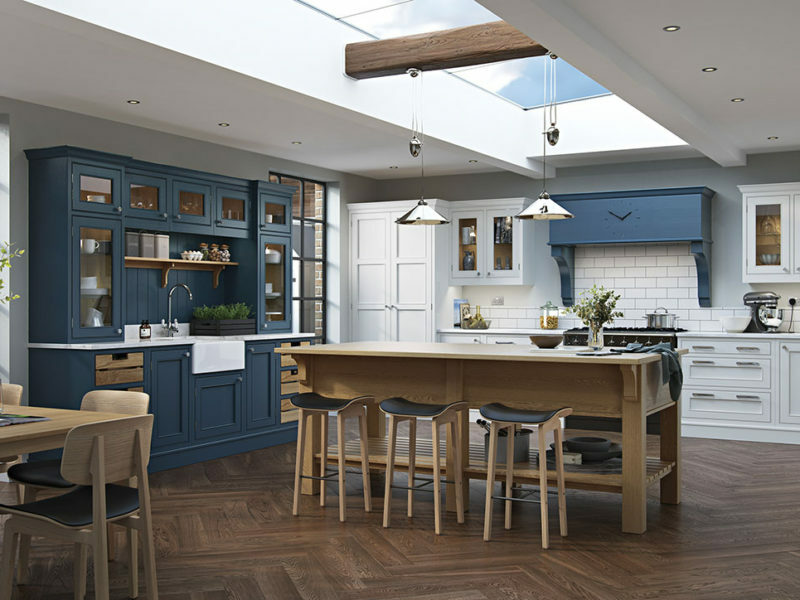 The kitchen shown here features Sutton Painted Shell (wall units, barrel unit, overmantle), Graphite (base units, units above fridge freezer, island) and Sutton Walnut (mantle shelf, breakfast bar with corbals) and Walnut internal accessories.